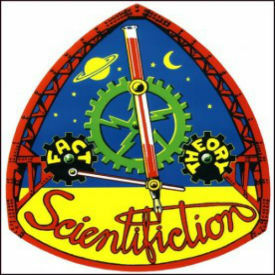 Welcome back to the ongoing creation of the greatest science fiction novels of all time. When you ask a science fiction fan what their favorite novel is you are bound to get a wide range of titles. Ask the same fan which novel is the greatest of all time, and they might give you an entirely different answer. Expecting two fans to agree that a single novel is the greatest of all time would be asking for the impossible. The truth is that no single novel in science fiction could genuinely carry that label. Many amazing novels have been written over the years. Each has its own characteristics and differences that make it unique. Comparing them side by side has no real value. Some novels are better at characterization and emotion. Other novels are better at action and adventure. Still others might be best at imagining new technologies and civilizations. With these differences in mind, we continue to assemble a list of the greatest science fiction novels of all time. As has been stated in previous installments of the list, the entries appear in no particular order. 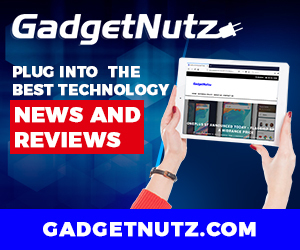 They are intended to represent a broad spectrum of novels that any science fiction fan can point at to share with those unenlightened readers that have yet to experience science fiction first hand. They serve as a starting point. Selection onto the list continues to be driven by the awards each novel has received as well as its commercial success. Commercial success normally means that it has connected with the readers on a significant level. Before we get to this week’s addition, let’s review the list so far. 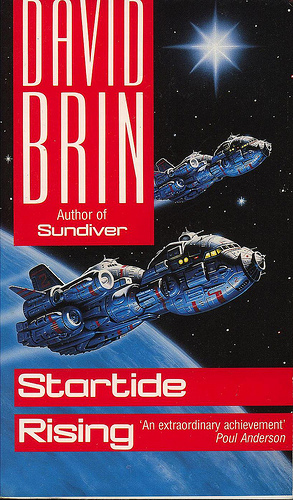 Startide Rising is the second novel in David Brin’s Uplift Universe series. Many consider it to be one of his greatest works as well as one of the best examples of science fiction ever written. The novel takes the reader into a future universe where alien races live alongside humans and the uplifted races. David fills the novel with fresh insight and technological wonders while presenting thoughtful characters and amazing action. 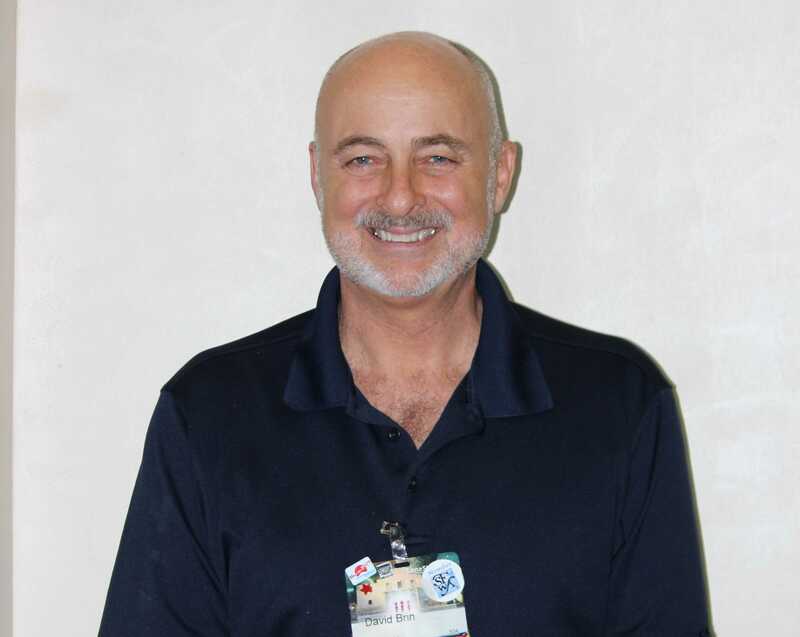 Last year I had the opportunity to ask David Brin about Startide Rising and the Uplift Universe. I asked him to describe the origins of his wonderful creation and what new readers could discover there. David replied, “Dolphins in space! Isn’t that enough? Seriously, I was always fascinated by our relationship with the “highest” animal species on Planet Earth. The more I learned — talking to researchers who knew cetaceans and apes intimately — the more I realized these creatures are not quite as smart as mythology pictured them…but they wanted to be! Both dolphins and chimpanzees seem frustrated and eager to accomplish more than they currently can achieve, in solving problems, in communicating with us. In Startide Rising, you will explore the adventures of the spaceship Streaker as it must face the consequences of discovering ancient technology that could change the balance of power. The crew, largely made up of uplifted dolphins, must survive the storm of attention their discovery brings. The novel is filled with something for everyone. David manages to infuse the novel with his positive outlook so when you finish the last page you are left satisfied with a smile on your face, as if you had just finished your favorite meal. Startide Rising should appear on every science fiction fan’s reading list. It is one of the greatest science fiction novels of all time.